Bolsover No3 shaft sinking was restarted and finally reached the Blackshale seam on 9th August at 737 yards (674m). The company then introduced coal cutters and conveyors. 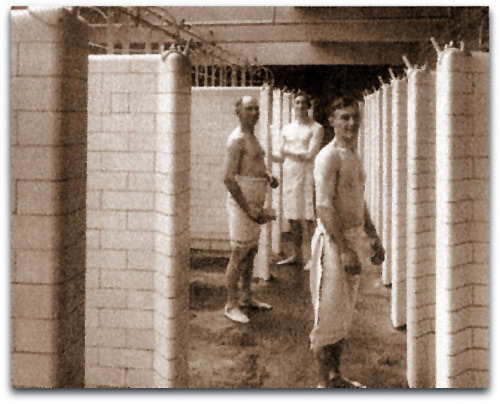 1,700 men and boys were employed. Wingerworth Park (E Smith), Wingerworth, opened in December; a small drift mine or footrill was developed at Smalley (Henry Woolley and Co). There were old workings surrounding it; The Dunsil seam was developed at Pleasley (Stanton Ironworks Co) in 1932 and would be worked continually until 1965. The Erewash Canal Coal Carrying Co was formed. It was a revival in the interest of carrying coal by barge. Pithead baths were opened at Whitwell (Derbyshire) (Shireoaks Colliery Co). Several pits were stood due a blizzard – the worst for 40 years. Derbyshire was snowbound it being 2’ 0” (0.61m) deep, the worst for 30 years. However by 5th June 1933 there was a drought. 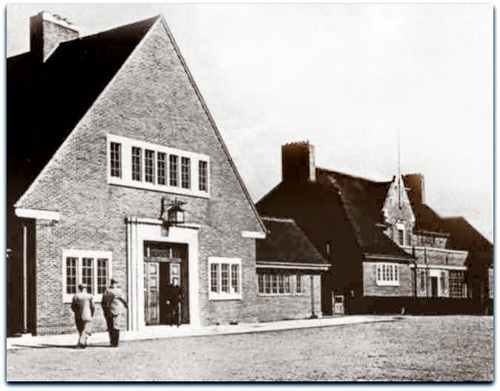 A new brick-built Miners’ Welfare was opened at New Ollerton by Winifred the Duchess of Portland to replace the temporary corrugated steel one in 1933. The old tub stall system of working was abandoned at Newstead (Nottinghamshire) (Newstead Colliery Co) with the introduction of 50 hp Samson coal cutters on longwall advancing panels in the Top Hard. Similarly at Ollerton the Butterley Co introduced longwall panel working by stopping the advancing stall workings and straightening them out and introduced undercutting machines and handfilling onto face conveyors. Gate belts delivered coal to outbye loading points in the loader gates. In July 1933 the wage agreement between the Government and the Mining Association ended. New price lists were issued. Joseph Jones became President of the Miners’ Federation, but would leave for a more lucrative post with the Coal Commission in 1938. Coal turning commenced at the Westthorpe shaft (North Derbyshire) from the Deep Soft seam level, at 163 yards (149m) deep. The shaft had been sunk originally as a ventilation shaft for Holbrook colliery (J and G Wells Ltd). 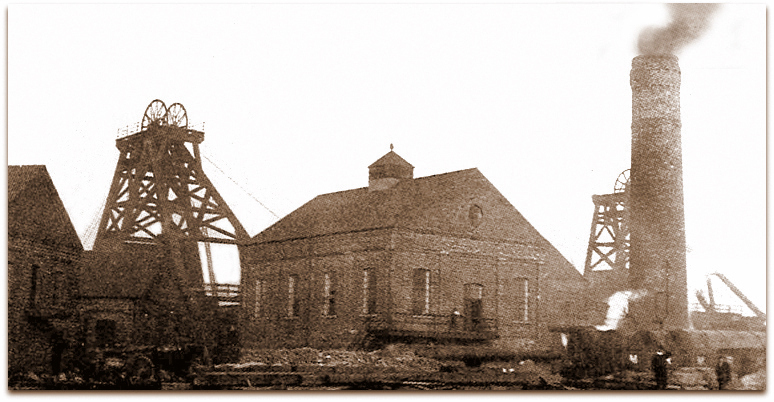 A new Miners’ Institute was opened at Clipstone and the old one closed down. 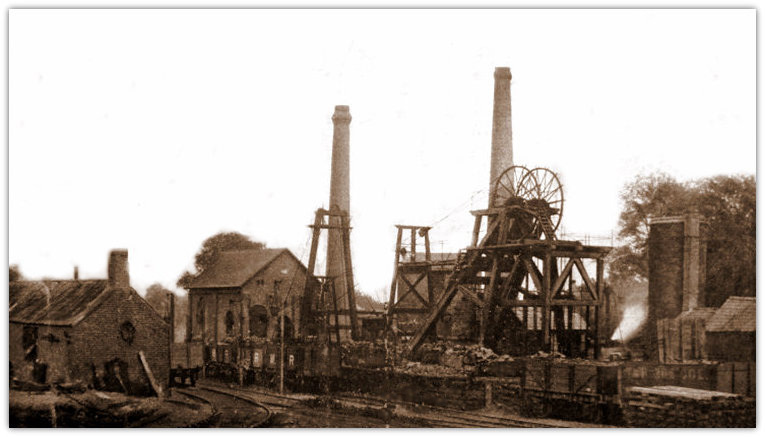 A new cyclic system of coal production was begun at Rufford (Bolsover Colliery Co). A record output of 1,093 tons per day was produced from a double unit and later another record when 1,147 tons were produced from a single conveyor face. There were more than 140,000 steel props in use in the three counties. The price of pit ponies was now down to around £12 each. During the 1930s the 66 yards (60m) safety barrier between Teversal and Pleasley was completely worked out goaf to goaf by old-fashioned stall methods. The valuable Top Hard coal at 5 feet (1.52m) thick had proved too much of a temptation for the Stanton Ironworks Co. It is said that some of the rats from Teversal were now able to occupy Pleasley pit for the first time, living off the pony food and scraps of miners’ food as at Teversal. At Silverhill that was not connected, there were mice underground. (Later in the early 1950s I remember when we used to be sat in an engine house having our snap, as a break from survey duties, we would set up bottle traps to catch mice, i.e. we would put a bit of cheese in a bottle and entice a mouse into it, but at Teversal we would set up traps to catch rats by putting a piece of bread underneath a large stone that was propped up with a wooden locker to which we attached to a piece of millband string. We would turn our cap lamp onto the pilot light and wait until a rat approached the bread. With great dexterity we would yank the string to pull the wood away, and with luck we would squash the rat under the stone! Mind you, a tub with several dead rats in at the end of the pit holidays is a smell never to be forgotten! Wolf Alkaline 2.6v lamps were introduced at Ollerton as well as lighting on underground haulage roads. At Manton surface lighting on the sidings by 9 x 1,000w lamps and reflectors. On 19th November 1933 at 2am there was an explosion in the Deep Hard seam workings at Grassmoor No8 (Derbyshire) (Grassmoor Colliery Co). It was attributed to a broken electric cap lamp. 14 men were killed and 31 others were injured, 8 seriously. Coleorton No3 (Bug & Wink) (Checkland & Co) sunk in 1875 closed after 58 years. John Ward (19), Holer, fall of coal 19/1/1878. Frederick Curtis (20) drowned in the colliery reservoir after leaving work 22/6/1889. Benjamin William Johnson (14), Bank lad, crushed between railway wagons on the surface 18/1/1890. Frederick Allen Philips (22), Loader, coal fell from face and knocked out a wooden prop and the roof fell on him 31/3/1890. Harold Fern (21), Pony driver, coupling tubs when the pony started and he was crushed between a tub and the roof 15/1/1891. John Robinson (13), Incline boy attempting to ride on a set of full trams and fell in front of the run 24/5/1895. Joseph Springthorpe (27), Stallman, fall of roof 14/6/1897. John Edwards (44), Roadman, run down by a set of runaway tubs 13/6/1898, died next day 14/6/1898. John Marsden (71) had a slight injury and died 3 weeks later but a postmortem revealed he had died of natural causes 3/2/1899. George Otter (?) run over by tubs 11/3/1905. William Russell (19) Loader, caught his arm between a tub and the coalface causing a scratch 2/5/1910, but died a month later on 5/6/1910 after an operation following an infectious wound. Charles Marshall (23), Shifter, repairing an old gate by ripping the roof when a fall of roof reeled out a new set bar and another set previously and buried him 2/5/1910. William Birch working with him was also buried but freed himself and attempted to release Marshall after 4 more falls of roof. He was awarded the Edward Medal (2nd Class Bronze) for his efforts. David Gardiner (51), Incline man was riding on tubs illegally and struck his head on the roof and fell between a run of 11 empty tubs 29/12/1910. Thomas Lord (32), Stallman, ripping a gate road was struck by a piece of rock 12 feet long x 2 feet 6inches wide and 2 feet thick that crushed him 19/8/1911. Nathan (30), brother of above, a Stallman, whilst travelling along a haulage road a large stone fell from the roof and dislodged a roof support allowing the roof to fall on him 24/4/1912. James Bailey (50), Collier, fall of roof fractured his skull, broke some ribs and a compound fracture of his left thigh 15/11/1917. Sam Matchett (?) killed on 18/12/1918, details unknown. Samuel Robert Fretstone (21) crushed by wagons on the surface 27/1/1919. James W Sharpe (21) fall of roof 2/5/1927. Sam Walker (51) crushed by tubs 19/5/1930. Woodside No1 (Shipley Collieries Ltd), Roof Soft and Deep Soft, temp closed July 1933. Loscoe (Butterley Co Ltd), Codnor, Deep Soft 3’ 6” (1.07m), New Soft, Deep Hard fin 16th May, abandoned August after 101 years. DC shaft 125 yards (114m), Furnace shaft 127 yards (116m) to Hard coal, Pumping shaft 129 yards (118m), Soft coal 3’ 6” (1.07m) thick. Nearby Ormonde shaft was used for ventilation where the New Soft coal lay at 98 yards (90m). Seams worked: Soft coal section: coal 7” (0.18m), dirt 3½” (0.09m), coal 2’ 0” (0.61m), clunch 3’ 7” (1.09m), coal 9” (0.23m), dirt 3” (0.08m), coal 2’ 3” (0.68m), 114 yards (105m) to Soft, 134 yards (122m) to Hard, 195 yards (178m) to Low Main, 368 yards (336m) to Kilburn and DC shaft 382 yards (350m) to Kilburn, 16th May finished, abandoned 4th Aug 1933. Advertisements showed the various grades of coal available: Best Hard coal, Hard steam coal, brights (large), screened brights, Hard cobbles, picked bright coal, bright cobbles, slack (Nutty) and best Hards Loco coal. Managers: William Sutton, Humphrey R Watson, BD Elliott. Undermanagers: James Walker, Thomas Henshaw, TE Williams, FGN Wigram. Lodge (Ilkeston Collieries Ltd) was owned by Manners Colliery Co Ltd to c Mar 1933. The pit had closed originally in 1896 and re-opened from 1913-1916. Main and tail haulage was used on the sidings. Bretby (Hall’s Collieries Ltd) (South Derbyshire) Eureka seam abandoned on 11th December 1933. (Bretby) Stanhope colliery Stanhope seam abandoned 11th December 1933, previously abandoned 1884. Coleorton (Leicestershire) Middle Lount, Nether Lount and Roaster or Lower Main abandoned 26 Jul 1933, Lewis and Lewis. A large majority voted against the installation of pithead baths at Ollerton (Nottinghamshire), a Butterley Co mine, where there was a prejudice against washing the back for fear of weakening it, but at Williamthorpe (Derbyshire), pithead baths were opened, the pit top was refurbished and electricity introduced and Henry Eustace Mitton, Managing Director of Butterley Co was appointed temporarily to the Board of the Hardwick Co.
Pithead baths were opened at Pleasley (Derbyshire) (Stanton Ironworks Co), building started in 1932. Building of Pithead baths was begun at Sherwood (Nottinghamshire) (Sherwood Colliery Co Ltd). There were 75 coke ovens working at Williamthorpe. Williamthorpe, Joseph Jones (39) fall of roof 1 Nov 1933. Leicestershire 1.6m tons. (By comparison, Yorkshire 38.1m tons).